We take a look at some of the most romantic men in pop to find out which star deserves the ultimate title of the best boyfriend in pop. 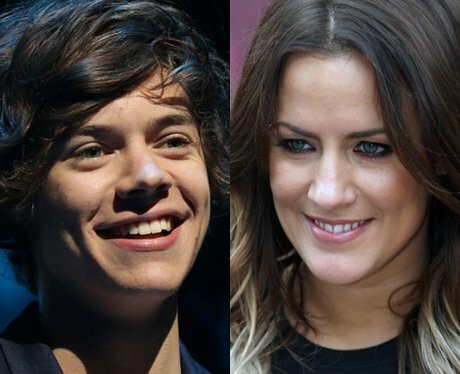 Back in late 2011 One Direction star Harry was romantically linked with The Xtra Factor host Caroline Flack, after the two were spotted out partying together several times. Despite a storm of media controversy about the 15 year age gap between them, Harry and Caroline ignored all of the negative comments and focused on being happy together, with Harry reportedly helping Caroline cope with death threats from angry One Direction fans. Although the relationship ended earlier this year, it was clear Harry makes quite the caring boyfriend and he even tweeted fans to clarify rumours about the break-up, describing Caroline as "one of the kindest, sweetest people" he knew. The 'Boyfriend' singer and girlfriend Selena Gomez, star of Wizards of Waverley Place and last year's Monte Carlo, have been openly dating for over a year now, and, despite their busy schedules the two make time to fit in romantic dates at places like basketball matches or even just in a sunny park. Justin is notoriously committed to his teen beau, flying out to visit her on film sets and bringing her along with him recently on his promotional trips to Japan and Australia. The 'Never Say Never' singer also has advice for all of the boyfriends out there, saying that honesty, patiences, forgiveness and faithfulness are the key ingredients to being a good partner. The '99 Problems' rapper is one half of arguably the pop world's most infamous power couple, with his wife of four years Beyonce Knowles. Rumoured to have been dating since as far back as 2002, ever since they teamed up on ''03 Bonnie & Clyde', Beyonce and Jay-Z try to keep their relationship away from the papers as much as possible. Despite this, the loved up couple are often pictured out together on romantic dinner dates and spending time with friends. The two also welcomed their daughter Blue Ivy at the start of 2012, with rumours Jay even adopted Beyonce's pregnancy diet out of solidarity. The One Direction star has been dating Little Mix singer Perrie Edwards ever since they met on The X Factor back in late 2011 and the two have gone on to become one of the cutest couples in pop, especially after pictures emerged of the two messing around on a scooter and sharing some young love PDAs earlier this year. Zayn tweeted the 'Wings' star some birthday wishes earlier this month and Perrie has said in interviews she is "very happy" with her new man. 'Sexyback' singer Justin was originally linked with actress Jessica Biel way back as 2007 and the two confirmed their engagement in late 2011 after five years together. From romantic PDAs at basketball games to picking out Jessica's engagement ring himself, Justin may just be the nicest boyfriend in pop right now! 'At Your Inconvenience' rapper Professor Green has been dating Made In Chelsea star Millie Mackintosh for the past several months and is often pictured supporting his lady at various red carpet events around London, as well as enjoying a holiday break together in Ibiza this month. The Coldplay frontman and Hollywood A-lister Gwyneth Paltrow are one of the premiere celebrity couples in showbiz ever since tying the knot back in 2003. The two are parents to daughter Apple and son Moses, and Chris is well known for his regular charity work. The 'Paradise' singer and his Iron Man actress wife are still as romantic as they have always been, seen most recently when he ran out into the crowd during a Coldplay gig to plant a kiss on Gwyneth's cheek! JLS star JB Gill has been with girlfriend Chloe Tangney for some time now and the happy couple are often pictured soaking up the sun in far flung locations across the world like the Caribbean and Marbella to name a few. Since confirming their relationship back at the start of 2012, 'It Girl' singer Jason Derulo and R&B star Jordin Sparks have been a picture of relationship bliss, sharing pictures of themselves spending time in the recording studio together, featuring on remixes of their music as well as tweeting compliments to each other across the Twitterverse for all to see. Prolific hip-hop rapper Kanye West might be one of the busiest men in the music industry, with plans for his new album as well as his worldwide 'Watch The Throne' tour with Jay-Z, but he has still managed to find time to start dating reality TV queen Kim Kardashian. Shortly after Jennifer Lopez and husband Mark Anthony announced plans to divorce the 'Papi' was spotted out with a brand new man, hunky backing dancer Casper Smart. The two have since become inseparable, with Casper even featuring in a co-starring role in the music video for Jennifer's single 'Dance Again'. Though J-Lo has promised she has no plans to remarry anytime in the near future, it is clear the chiselled dancer has caught the attention of the 'On The Floor' star. Cher Lloyd's fiancé Craig Monk may not be in the music industry but he has certainly caught the attention of the 'With Ur Love' singer, as the couple announced their engagement earlier this year after only twelve months together. Cher has since said she expects to spend the rest of her life with him, although they have yet to announce when the wedding will take place.